Mobility and Energy: Helping Your Dog Gain Their Health Back! Springtime is here and with it comes ample trips to the dog park and off-leash areas. Your canine friends have been waiting to get outdoors and enjoy all that spring has to offer. Many of our pets suffer from strained joints and muscles, and often wintertime can amplify these symptoms for many dogs. One of the best products on the market for dog owners today are products that have a high content of glucosamine and chondroitin. These two key ingredients are life savers for pets that suffer from arthritis, luxating patella’s, tendon or ligament damage. Dogs of middle to large stature that suffer from hip dysplasia also find taking daily doses of glucosamine extremely beneficial. As a dog ages, the natural glucosamine that is produced within their bodies begins to slow in production. Many middle age and older dogs start showing signs of osteoarthritis while trying to complete the simplest tasks. You start noticing your furry companion struggling with stairs or getting into or out of a vehicle. The cold winter months in Canada compound the stiffness in your canines joints. 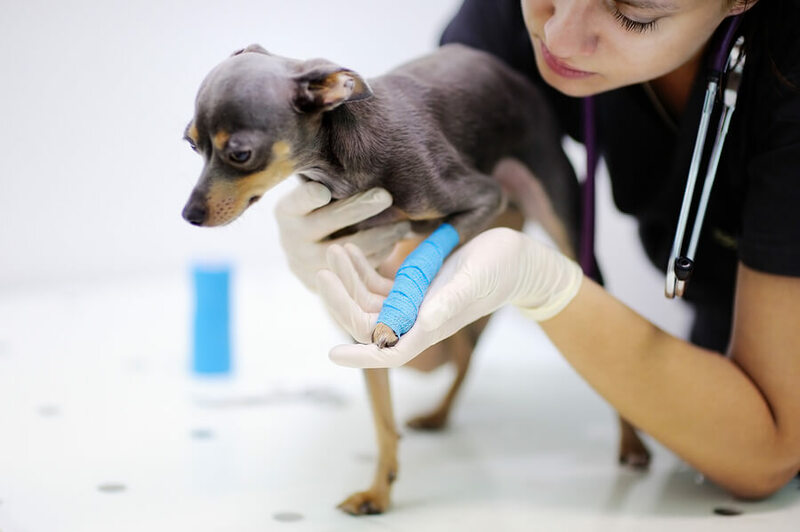 The mornings are usually the toughest for most dogs suffering from these types of joint ailments due to inactivity during the night, but as the day goes by they tend to noticeably loosen up. Giving your dog a supplement that is glucosamine and chondroitin rich, gives them a leg up and helps with overall health and wellness. The two compounds work in tandem to help get your canine companion back on track, especially for those warm runs and walks outside. These two compounds help grow and strengthen the joints and ease the stiffness your dog is experiencing. With each supplement, every step becomes less painful. Before you know it, your dog will be ready to race again. Pet-Tek has a fantastic supplement called Re-Gen that will help get your dog up and running in no time. Glucosamine HCL is a proven and purest form of glucosamine that repairs cartilage, eases osteoarthritis, and supports mobility. Partnered with chondroitin, a naturally occurring compound in dogs, you can start rebuilding cartilage and stop the enzymes that are associated with destroying cartilage tissue. Re-Gen can be added directly to your dog’s food for easy consumption. It is available in both liquid and powder form and three convenient sizes. Packages of 100, 300, or 500 supplements give dog owners the flexibility to purchase a smaller amount. Start giving a little life back to your canine by adding a glucosamine/chondroitin supplement to your dogs daily diet. The benefits are noticeable within just a few weeks, but the difference it will make to your dog is outstanding. Help get your dog the comfort and mobility he craves. With a little extra supplement like Re-Gen, your canine companion will be thanking you in no time. A world of difference in one small supplement!